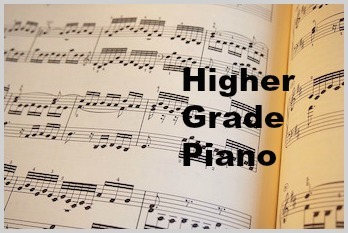 Though students may not always realise it, piano technique is built from the very first day in piano lessons. Good piano technique is essential to bringing authenticity and meaning to a composer's piece. While music is for enjoyment, without good technique, it'll hard to produce a musical sound and tone that you would really enjoy. This often starts to affect playing significantly in mid and higher grades. "As students in Russia, we were taught from the earliest age to strive for a perfect technique, in other words, "a complete command of the instrument." But technique was never a goal in itself; rather, it was only a means to express the ideas of the composer." When one of my piano teachers started to teach me in different piano technique, a whole new vocabulary of sound, texture and playing methods opened up to me. It was like embarking on a discovery trail. At an early stage, this discovery takes the form of simple exercises. Later on, much training is done in longer studies that focus on a couple of technical skills at a time. This technical training process produced a great fluency in my fingers, ease of use of my arms and body and built up my stamina for demanding pieces. It was much like athletic training at the piano! To be honest, it was quite fun and challenging at the same time. This same vocabulary of sounds and playing methods when used in pieces written by great composers allows music to be played in an authentic way. Many different technical skills are required to make a piece of music beautiful. These are common problems that should be addressed and resolved with the teacher. Good practice following teacher's instructions over several weeks or months should show improvement. If you are working hard, following practice instructions and there's still no improvement over months, you may need another teacher to help you resolve issues. When one is able differentiate what is right or suitable for a given piece of music, a good part of the battle is won in the training of technique. Needless to say, teaching listening skills is one of my favourite parts of piano lessons.